Maybe the super crazy whitewater is. This is not that. The whitewater rafting trips with Americas Rafting Co are a good mix of relaxing calm water and fun rapids. There’s so much more to these trips than just the whitewater rapids! False. 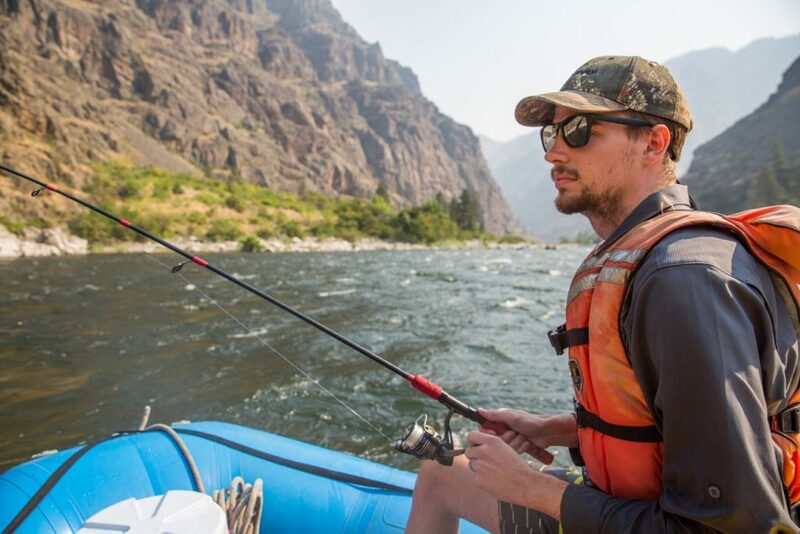 Hells Canyon on the Snake River and the Lower Salmon River are both what are called drop pool rivers: calm stretches of water followed by a rapid, followed by more stretches of calm relaxing water. There is plenty of whitewater on the trips but also calm water great for fishing, swimming, and just soaking in the surroundings on the raft. Not true! Water is a crazy thing. During spring run-off some rapids are bigger like expected, but it also washes out a lot of the smaller rapids. The opposite is true at lower water. The bigger rapids do become smaller but the smaller rapids become more fun, splashy, and spicy! Hells Canyon is also a dam release section of river so there’s plenty of water flowing throughout the summer! This is no backpacking trip. There is no digging holes in the ground. 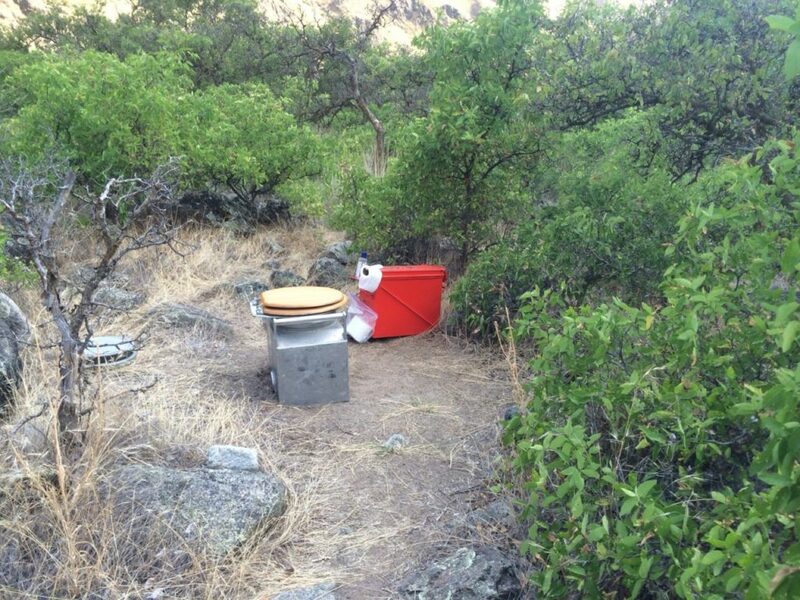 Instead we use a easy system with a toilet seat on a specially designed metal box that your guides will handle. There’s a little system to it but we’ll go over that before the trip. All you need to know is it’s private and it will be the best view you’ve ever had on a toilet. 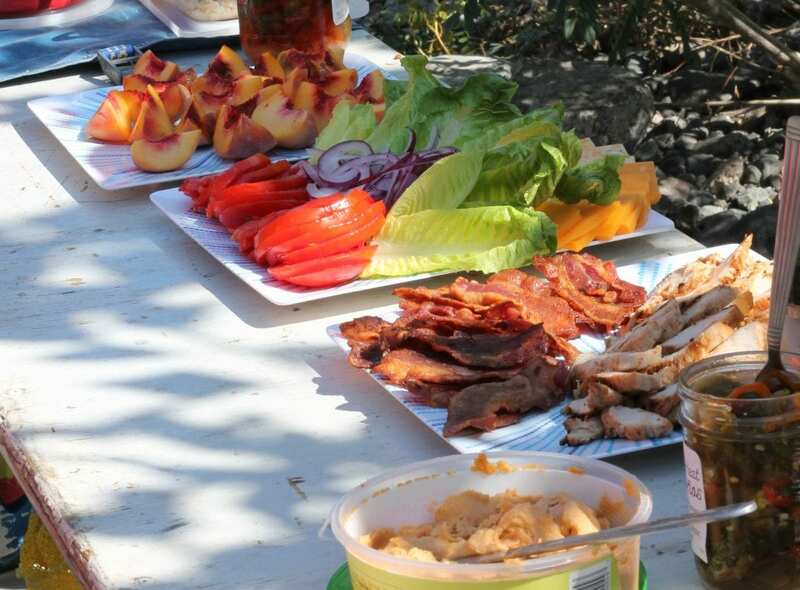 There is so much more to a river trip than the whitewater. These river trips are a choose your own adventure kind of vacation. All hikes are absolutely optional. If you’re comfortable sitting in a boat, floating in water with a life jacket on, and getting in and out of the boat with rocks that may move on you, you’re good to go! No matter if you’re athletic or not, there are fish to catch, wildlife to spot and sunsets to view while sitting riverside. Rafting gear is really a loose term. It can mean anything from sun shirts to swimwear to tutus. 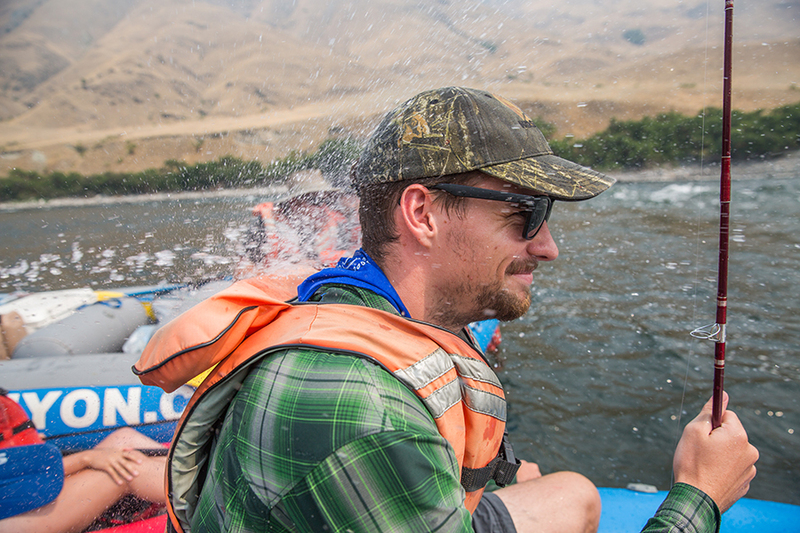 Almost anything can be river gear, especially when it’s summer in Hells Canyon! Cotton is total acceptable in the heat. We take care of all the hard rafting gear: life jackets, boats, and guides. Bring what you got along with some sun protection like sunglasses and a hat and you’re good to go! River shoes are the only thing that’s a little specific, but there’s a whole guide on that here. What to see if these whitewater rafting myths are really false? 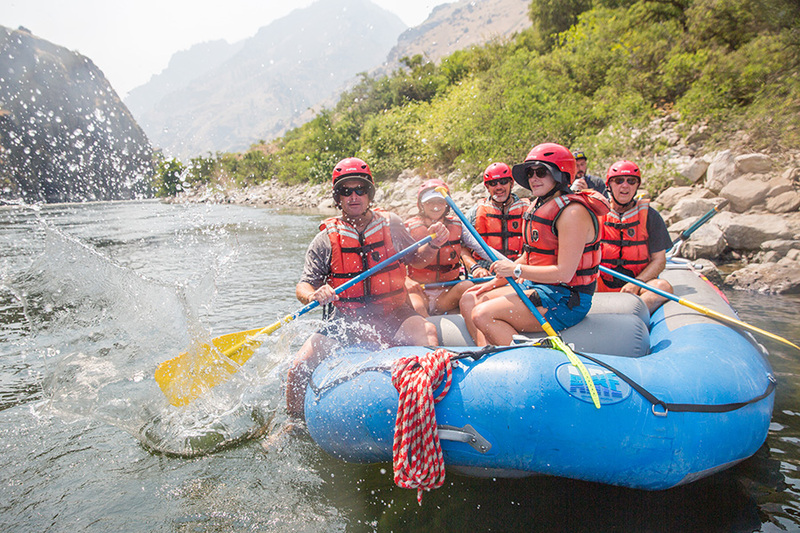 Jump on an Idaho whitewater rafting trip as find our for yourself!